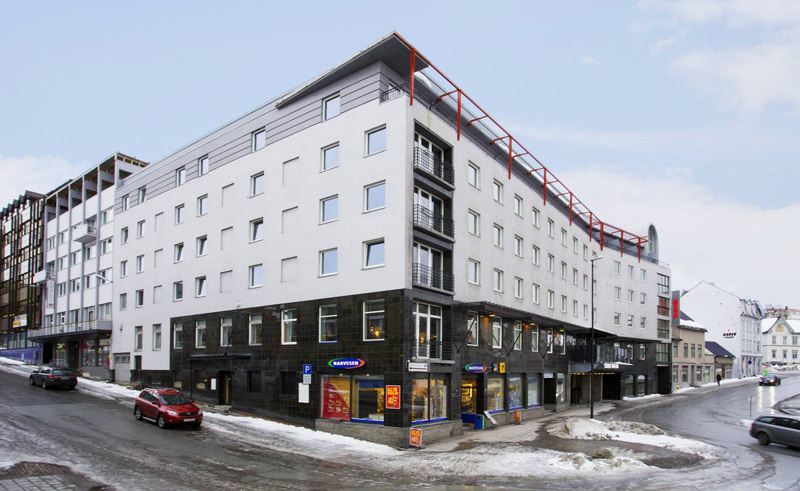 A comfortable and centrally-situated hotel on Strandgata in Harstad, the 117-room Scandic Hotel is found close to the city’s bustling harbour and waterfront district. With a number of tasteful shops in the area and only 200 metres from the harbour, staying here, guests are well placed for exploring this lively city. The on site Grand Restaurant serves a variety of lunches and dinners on request, whilst the hotel’s pub gets into the spirit of the islands and is styled with maritime-decor. Offering light meals and an array of drinks, this is a comfortable area in which to relax in the evening. Meanwhile, the Grand Bar is for those seeking a true night out, combining a bar and nightclub for those who wish to dress up and go dancing while travelling through this northern archipelago. Each room comes with a flat-screen TV, minibar and has en suite facilities.